Welcome to Church Ranches Estates at Bearspaw with private lakes, pathways and parks. $200K in recent upgrades! 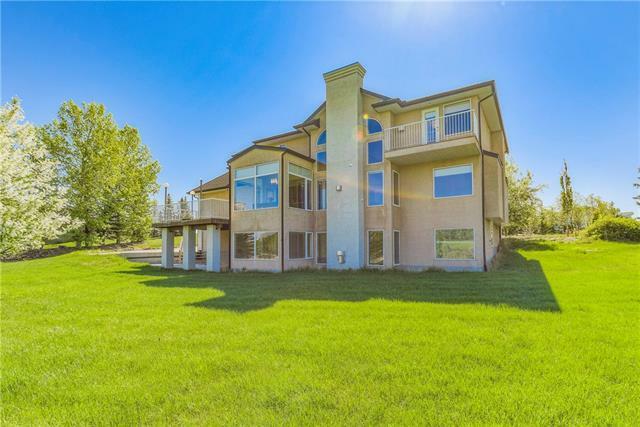 This prestigious custom two-storey with walkout is nestled on over 2 acres with 4,311 sq.ft of developed living space. 5 bdrms & 4 full bthrms. Upon entering your new home you are greeted by ample natural light, soaring 14 ceilings and an open floor plan. The living room centres around a cozy new fireplace, wall windows and views of the countryside. New kitchen welcomes you with a granite countertops, gas stove & SS appliances. The sunny breakfast nook steps out onto your west-facing back deck where you can enjoy the views. Watch the kids in the sprawling backyard enjoy every minute of growing up on an acreage with the closeness of being in the city. The spacious master offers a private balcony and gas fireplace, a 5 pc ensuite w/ granite countertops, maple tiles & Jacuzzi tub.5 min drive to the C-train station, YWCA Rocky Ridge Rec Centre.